Silhouette Studio Designer Edition version 3 has made some wonderful improvements that will help streamline your SVG workflow while giving you more control over the end result. This is especially true when using files from our store, SVGCuts.com! 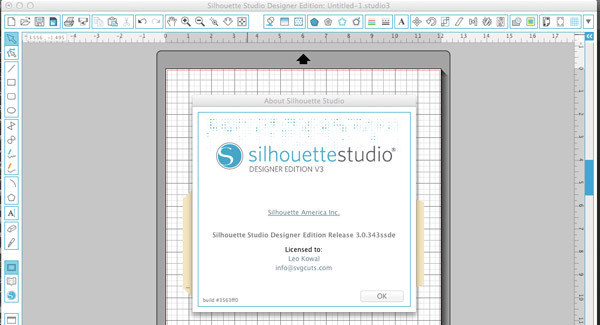 By default, Silhouette Studio Designer Edition may not have SVG files set to "Center" when you open them. This may give the illusion that SVG files are blank when you open them when they're actually located somewhere off of the mat (you may have to scroll up/down, left/right to locate the actual cut file). Instead of having to search for the cut, you can change a quick preference to ensure that your designs will always show up on the center of your cutting mat in Silhouette Studio Designer Edition. Just follow these easy steps! 1. On a Mac, Click Silhouette Studio from your tool bar, on a PC, click Edit. 3. 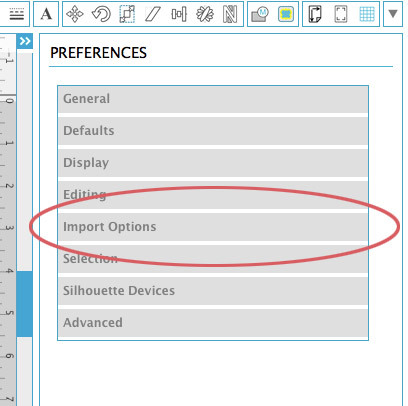 Click the Import Options section of the Preferences menu. 4. 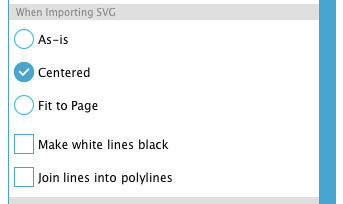 Click the Centered radio button under the When Importing SVG section. 6. That's it! You've successfully set your SVG files to center when you open them using the File >> Open method! The following video will show you how to import and prepare SVG files for cutting with Silhouette Studio Designer Edition. The first part of the video shows you how to add the files to the built-in Silhouette Studio Library and the second part shows you how to open them temporarily using the File >> Open option. Both are correct methods and which one you use is completely up to you. Thank you. I have already brought the svgs into my Silhouette library so, can I follow the instructions above from this point? That is to say, can I place an svg on my virtual mat and then click Edit, Centrerd? THANK YOU!!!!! i was having SUCH a hard time cutting on my new toy and this was an awesome video. thank you thank you thank you!!!! You guys are the GREATEST! Any question I have you always have the answer! You really do go over and above!!! Thank you for all your help! The videos are so so so helpful! I just so enjoy all my files anything I’m looking for I find!! Mother’s Day is always a big hit, there is a dinner and I try to out do myself every year and this was no exception, I made the gazbo AWESOME!! Everytime I move (select all and then move) and object it does not totally cut. I am trying to make the clock fom the Madison cuts, the French County clock and when I try to put some of the circles together along with some of the gears, and I move them around on the mat, they do not cut the complete circle. It is like I have to use up a 12 x12 cardstock for each black circle and then one again for the gears. I am not sure what I am doing wrong, because when I cut them as they load on the mat it works fine. I am finding myself guessing and cutting out scraps to put on the mat in the middle, hoping I won’t waste too much paper. Please help.